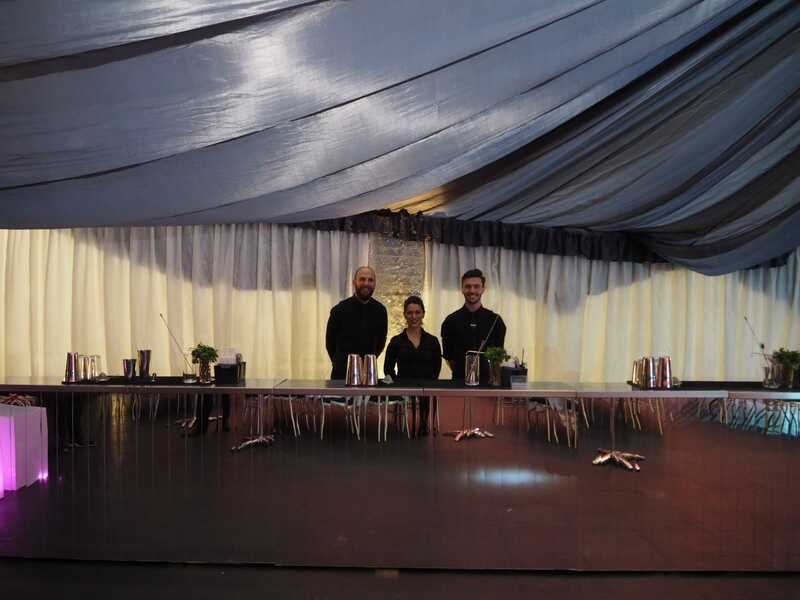 We had quite the pleasure this Christmas of returning to the Combermere Barracks in Windsor to employ our Windsor mobile bar hire service, including flair bartenders and much more. The Combermere Barracks have been standing since 1796, although it was originally known as the Clewer Barracks. Today it is the home of the Household Calvary regiment and the Windsor Royal Guards, which is who this particular Christmas party was for. 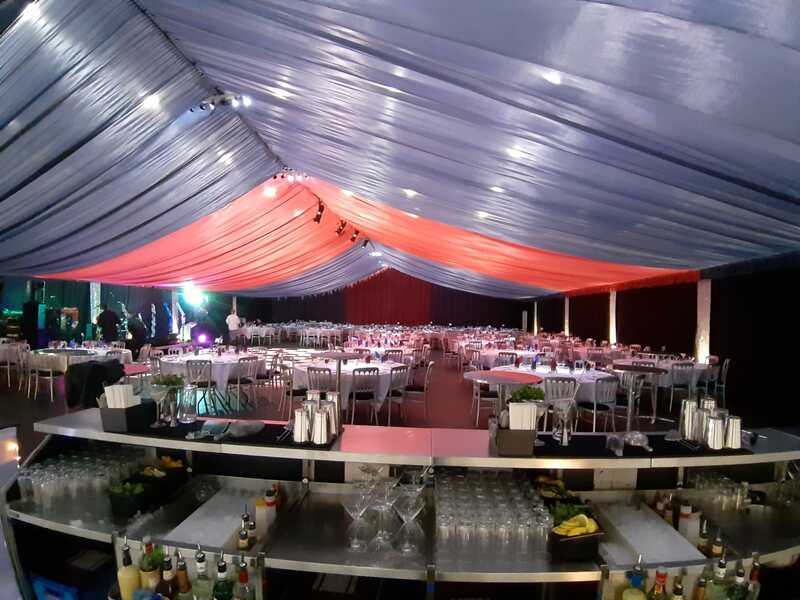 Mobile bar hire in Windsor could lead you to a number of very old and interesting places, not least the Combermere Barracks – which stands just 0.9 miles from Windsor Castle. One thing is for certain, our elegant mirrored bar wouldn’t look out of place in any of the many special buildings in Windsor. 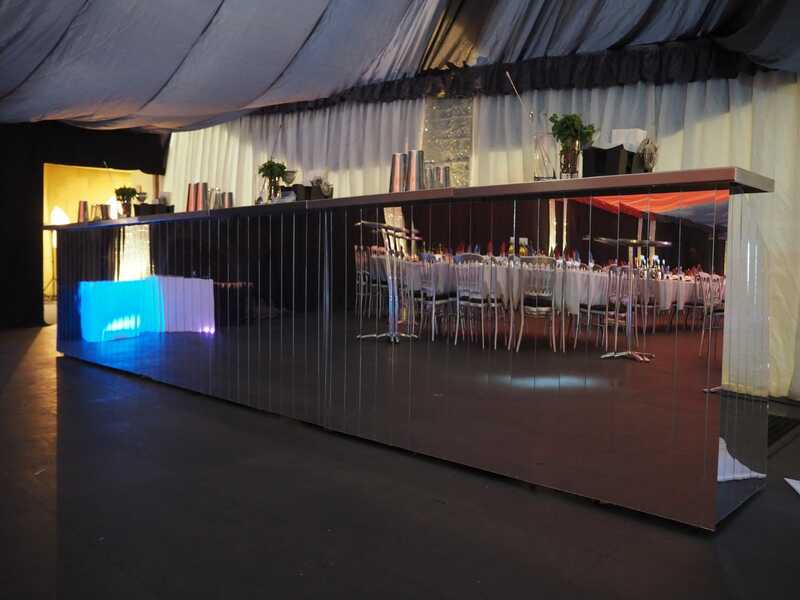 The event took place in the gym of the Combermere Barracks, which had been expertly dressed by Inside, Outside Marquees to create a high end, festive theme. Our Windsor mobile bar hire service took centre stage following a jovial sit down dinner. The 6 meter mirrored mobile bar accommodated over 320 guests throughout the night, serving a festive and tasty range of cocktails, including classics and Ace Bar Events originals. Interested in our Windsor mobile bar hire service, flair bartenders, cocktails or another of our mobile bar hire in Windsor? Then please do not hesitate to get in touch!